Drive through the capital city Roseau to the Botanical Gardens and up the lush and verdant Roseau Valley. There will be stops at scenic locations until we reach the village of Laudat. 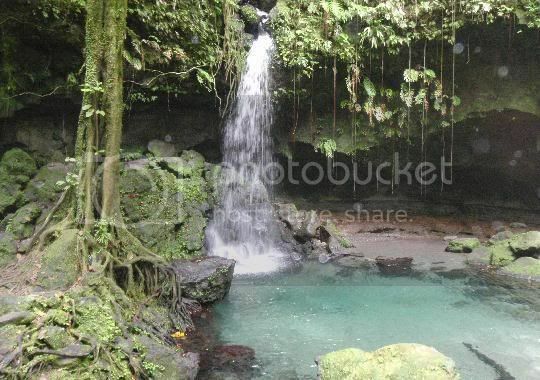 From Laudat we take a 15 minute walk to the Ti Tou Gorge which is one of the most unique places on the island. 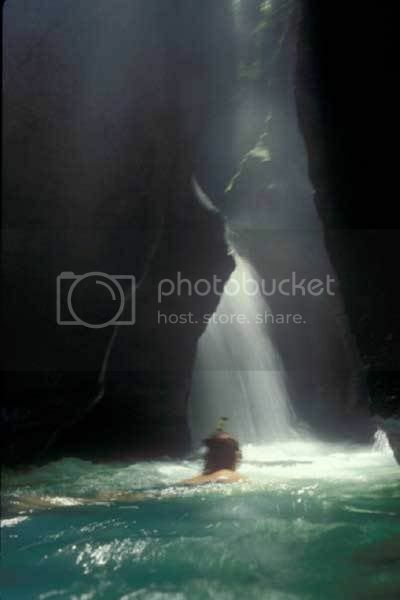 Literally we will swim up the 'throat' of a mountain to a waterfall located inside the gorge. This gorge was formed many thousands of years ago and is fed by the Freshwater Lake. The formation of the rock walls on either side, through which we swim are intricate and breathtaking, this place is truly one of the wonders of Dominica. After the gorge we walk back to the vehicle and proceed to the spectacular twin Trafalgar Falls. It is a 15 minute walk from where the vehicle stops to, the viewing area of the falls. Those who are able to, under the supervision of the guide can scramble over the boulders to the base of one of the falls where there is a great pool inviting you to jump in. After the falls return to the vehicle drive through the capital Roseau and along the west Caribbean coast. Turning inland up the Imperial Road, through the Antrim Valley to the Emerald Pool, one of the island's beautiful waterfalls within the rainforest Morne Trois Piton National Park. From where the vehicle stops it is about a 15-minute walk through the rainforest to the Emerald Pool which is so called because it reflects the greenery of the surrounding vegetation. The guides will explain about the rainforest and the wildlife within. Those who wish to will be able to swim in the pool at the base of the fall. Please note that the order in which this activity is done will be at the discretion of your tour guide.